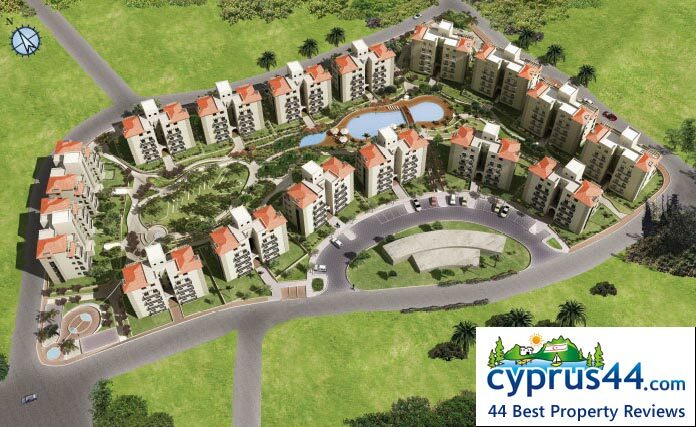 Monarga Sea View Village is one of the best properties listed in Cyprus44 property reviews. Monarga Resorts in North Cyprus are the latest high-quality developments at Bogaz, in the Bafra region, with the advantages of being just 40 minutes from Ercan International Airport, and 15 minutes from the ancient city of Famagusta. The village of Bogaz is currently undergoing extensive development, yet it is also the gateway to the rugged beauty of the Karpas Peninsula. The company and professionals behind Monarga has years of experience in creating residential projects in North Cyprus, and are at the forefront of the new developments in the east coast area. 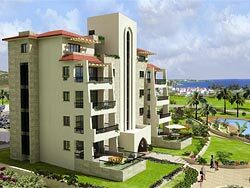 High on a hill above Bogaz on the east coast of Northern Cyprus, the Sea View Village offers a range of one, two and three bed apartments with great views overlooking the sparkling Mediterranean Sea. 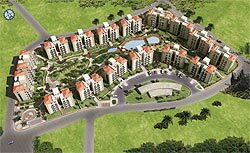 The apartments are grouped into four development phases; Pearl, Sapphire, Emerald and Topaz, with the clubhouse built in the first phase. Three phrases neatly join together to give a village feel to the site, whilst the Pearl area is separate, linked by a short section of road. Monarga Sea View Village development is built on Turkish Title Deed so your investment is 100% secure. Studio apartments have an appealing wedge-shape that gives maximum internal space and a generous terrace area too. Just right for a couple wishing to escape to the North Cyprus sunshine! The two bedroom penthouse apartments offer spacious and elegant living space, with the dining area and kitchen accessing one private terrace at one end, and the master bedroom, guest bedroom and two bathrooms accessing a second terrace. Unlike many apartments in North Cyprus, the master bedroom is a true double bedroom size, with room to walk around the bed with ease. You can also opt for a white good package, furniture deal or security alarm system. The apartments are furnished to a high standard, with all master bedrooms featuring an en-suite bathroom and air conditioning as standard. Fully fitted wardrobes offer ample storage space, and the open plan kitchen and dining arrangement ensures you will never miss out on important gossip just because you are preparing dinner! Staying in touch with home is easy too, as every room features a phone, tv and high speed internet access point. Sea View Village is a gated complex with all the facilities you would expect from a high quality property development in North Cyprus. Your apartment will never be far from one of the four swimming pools on the site, and fitness enthusiasts will also enjoy the fitness suite in the clubhouse. Chances are, the clubhouse will become the centre of your leisure time, since you can relax in the sauna, play snooker, enjoy a cup of coffee or even browse the internet. The kids can have fun in the children's activity centre or release their inner Tiger Woods in a round of mini-golf, before helping you stock up on groceries from the on-site mini-market. Or, treat them to a visit to the nearby five star hotel entertainment complexes via the courtesy shuttle bus, or have a flutter on the casino tables yourselves instead! 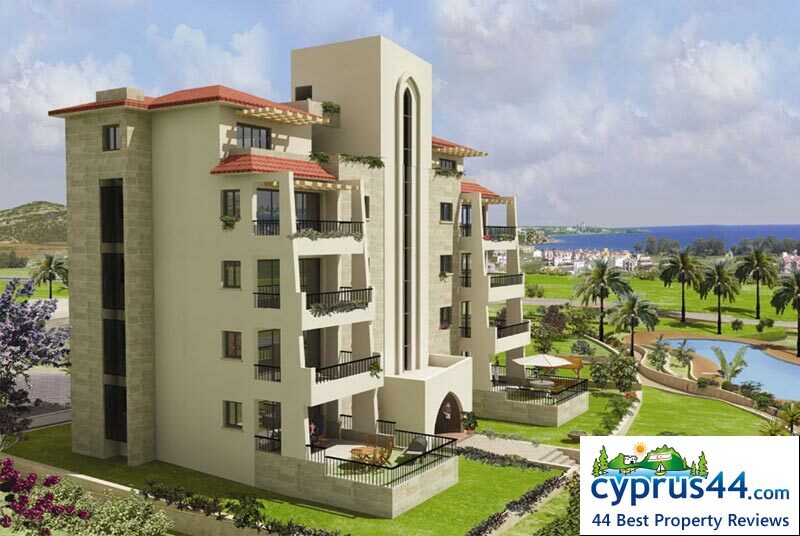 Just ten minutes from Famagusta, the Sea View Village development offers the security of being built on land with an original Turkish title deed, and all buildings carry a five year guarantee. There is also a site management service should you wish to rent out your apartment or have it looked after while you are elsewhere. This web page is served on 20 April 2019 at 00:14:53.